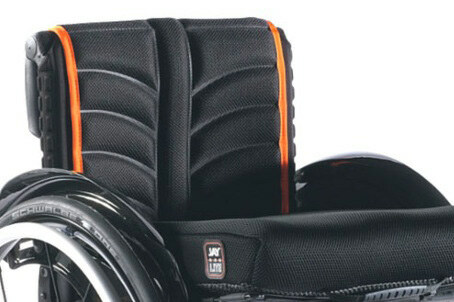 The ULTIMATE ultra-lightweight wheelchair of choice. It's time for a new generation! 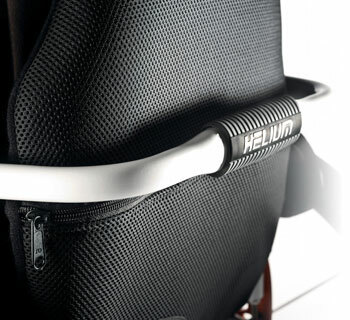 Minimalist design and impressive driving performance - that's what the Helium active wheelchair is all about. 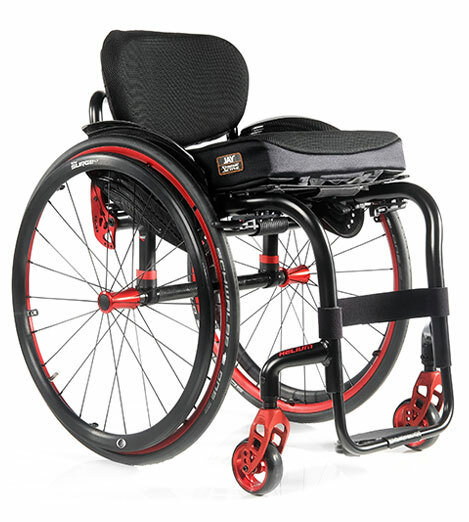 Modern Carbotecture and hydroforming makes the Helium an extremely strong and sturdy ultra-lightweight wheelchair. Bespoke mouldings, a choice of 32 colours and a variety of trim levels and design options will help your Helium reflect your pure individuality. 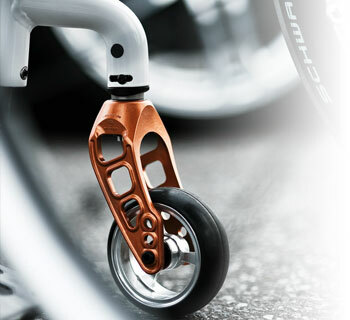 Connect your Helium to the new Attitude hand bike series and experience freedom like never before. Whether you want to exercise with the manual add-on, enjoy the benefits of rehab and intermittent exercise with the power assist or cruise anywhere with the full power add-on, the Attitude add-on hand bike series opens up so many possibilities to live life to the limits. 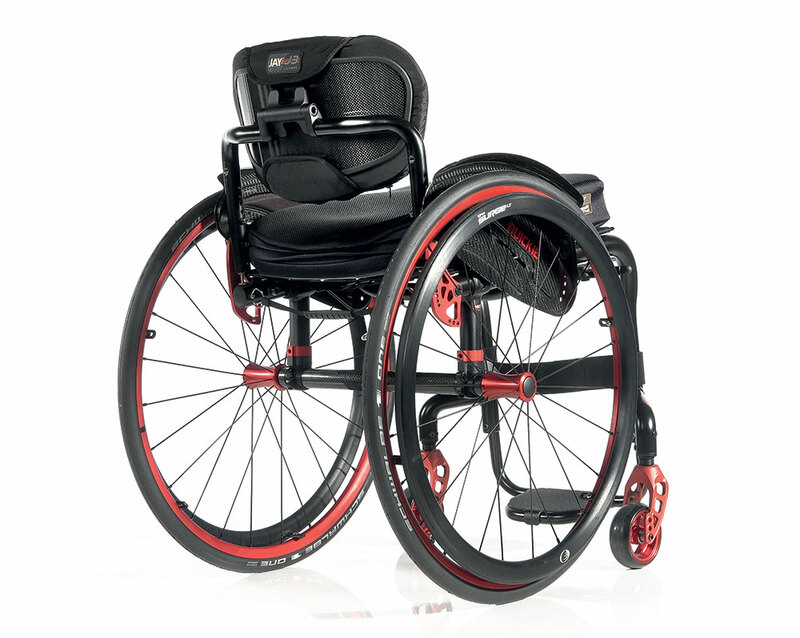 Max User Weight: 125kg (100kg for Proton wheels, clip style seat and oval shaped backrest. I received my Quickie Helium about 2 weeks ago and already this wheelchair has had a life changing affect. Having been struggling with a heavier chair for years the ultra light and sturdy construction of the helium really make things easier. I have very active work and home life, I travel a lot using trains, taxies and cars and the helium is so easy and light when out and about on the go. I would say after a long day on the trains and in and out of taxies at work I feel at least 25% less fatigue by the time I get home. Even the cabbies remark on how light the chair is. I struggled for the last few years to get my old chair into the car but now it is so easy and my wife says it's like seeing me 10 years ago, as my level of independence has obviously increased. I have realised that I was limited by the old outdated wheelchair more than my disability, it's amazing how the right gear can change your life! Having given the wheelchair a through road test over the last few weeks, I would unreservedly recommend Quickie Helium for the active demanding wheelchair user! I recently... (today) recieved my Quickie Helium chair. I must say that this chair is brilliant. It is on par with my progeo joker energy as far as lightness is concerned which is replaced by this helium due to wear and tear. This chair looks and feels very strong and feels well built. I had a special backrest made for me because of my sores and what not. Very comfortable to sit in and truely it feels amazing to push as well as go up and down curbs. I have yet to test it out in rough ground and streets but im sure it will handle just fine. for anyone looking a light weight chair look no further than this!! superb quality.! I would say after a long day on the trains and in and out of taxies at work I feel at least 25% less fatigue by the time I get home. Even the cabbies remark on how light the chair is. I struggled for the last few years to get my old chair into the car but now it is so easy and my wife says it\'s like seeing me 10 years ago, as my level of independence has obviously increased. 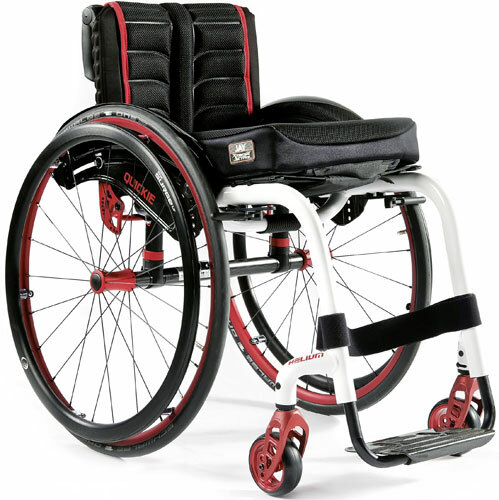 I have realised that I was limited by the old outdated wheelchair more than my disability, it\'s amazing how the right gear can change your life! 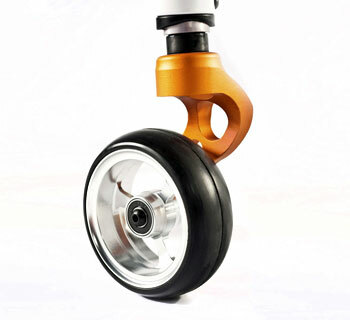 Having given the wheelchair a through road test over the last few weeks, I would unreservedly recommend Quickie Helium for the active demanding wheelchair user!